MODERN MARVELS: HOT & SPICY ON THE HISTORY CHANNEL! Tune into the History Channel, Thursday March 18th at 8 PM, Eastern Time; 7 PM Central. The Modern Marvels series, will be broadcasting a new episode, called Hot & Spicy. It’s time to get hot and spicy. First we’ll take you to the home of sizzling Tabasco sauce–McIlhenny Company of Louisiana, and to McCormick in Baltimore, Maryland–the leading spice manufacturer in the world. Then, head down south to see who likes it hot at the Southern Mississippi Chili Cook Off. At the Chile Pepper Institute, taste the rare “Bhut Jolokia,” the hottest Chile pepper in the world, and learn about the chemical substance capsaicin, which gives the “Bhut” and other popular peppers their tongue-burning heat. At Sol Toro restaurant in Connecticut, owned by basketball great Michael Jordan, customers need to sign a waiver to dine on their sizzling dishes. Go to the manufacturers of horseradish, wasabi and mustard to find out how their roots and seeds deliver their own distinctive blazing burn. Using the same heat many savor, we”ll demonstrate the powerful punch of pepper spray as a weapon. Cindy & I were there for the Southern Mississippi Chili Cook-off portion of the show. We used, Cin Chili’s Devil’s Lightning Hot Sauce, in our competition chili. Our Devil’s Lightning, made with the Bhut Jolokia Pepper, isn’t the hottest hot sauce you’ll ever taste…but it will be one of the most flavorful. See the reactions of those who sampled it. Save 15% off the Devil’s Lightning and all of our savory hot sauces, from now through March 21st. Try them and see why Cin Chili hot sauces are being found on dinner tables, all across America. Don’t forget our Military Program. Send some hot sauces and Cin Chili to our dedicated soldiers overseas. This is an opportunity to send them a taste of home and a thank-you for the sacrifices they make every day. 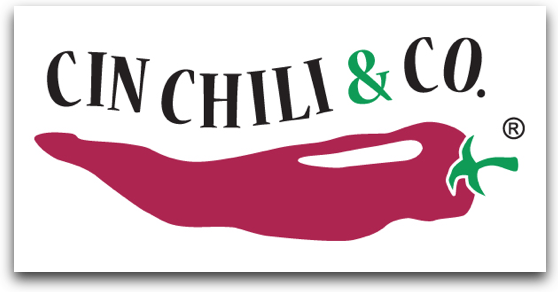 Thank you for being a fan of Cin Chili & Company. We will continue to keep you updated on what’s happening with our products. Watch for additional discounts and specials we’ll run from time to time. Excellent, I look forward to it. Tivo is ready. I wasn’t paying alot of attention during the chili cook off segment. I’ll have to check it again now that I know Cin Chli is in it.